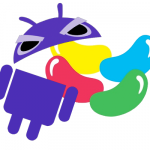 Ice Cream Sandwich and Jelly Bean, Good News For Android? 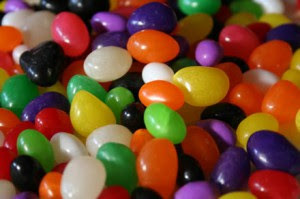 If I could see no way that could be an ice cream sandwich before Google shows the image, I know exactly what are Jelly Beans. And it’s good, too. Apparently, according to an internal source, as usual, did not reveal his name – but had the decency not to take the blurry photo – it will be the name of the next version of Android. Shelf? For smartphones? Both my captain, if Google sticks to the promise of announced merger of the two environments. “Of course they will be held there, it’s even the whole point of ICS” you say, and you will not be wrong. However, the source of This Is My Next would also announced that Jelly Bean would have inherited a lot of features expected to be available from Ice Cream Sandwich. We can better understand how Google can assert its system out in a month or so … but what will the impact of ICS? As we know almost nothing of the system, hard to say. Hopefully it says that Google has not given up too much of a revolution for its OS in favor of a system, as too often in beta version .